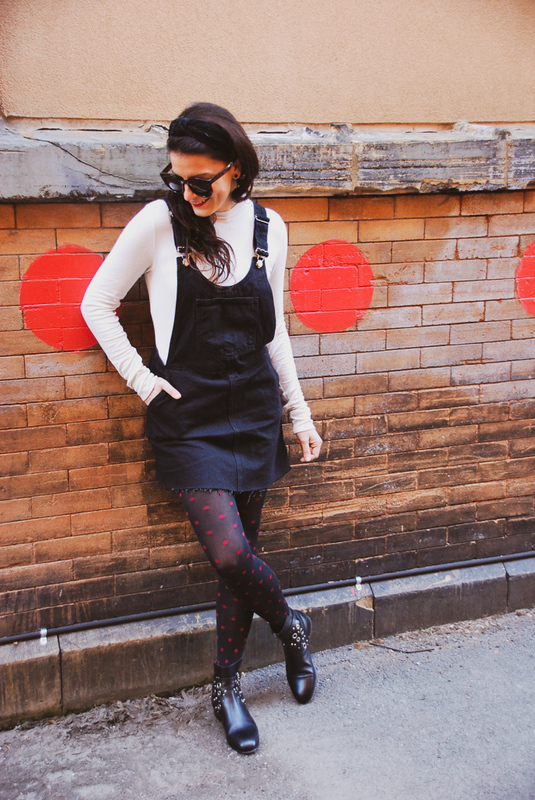 What are the odds that I found some red polka dots whilst wearing my red polka dot tights?! I like when art imitates fashion and vice versa. Actually, clothes are art to me and they tell a story. You can look at an article of clothing and just see it for what it physically is or you can connect a memory, a mood, a place or a reason why you have that article of clothing or accessories and so on. 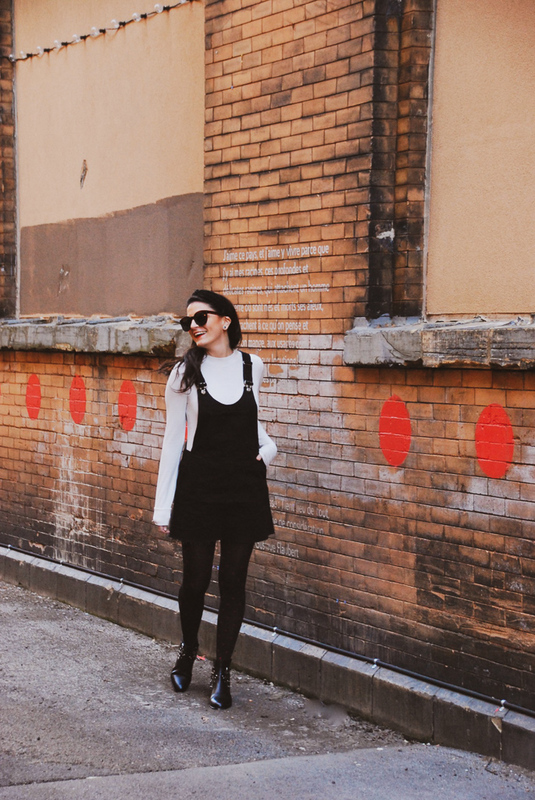 This pinafore isn’t just a pinafore. I love overalls, in general, and have been wearing overalls ever since I can remember (Fun fact: I have many school picture day photos with overalls.) I had my mind on a black pinafore for a while now and was just waiting for the right one. 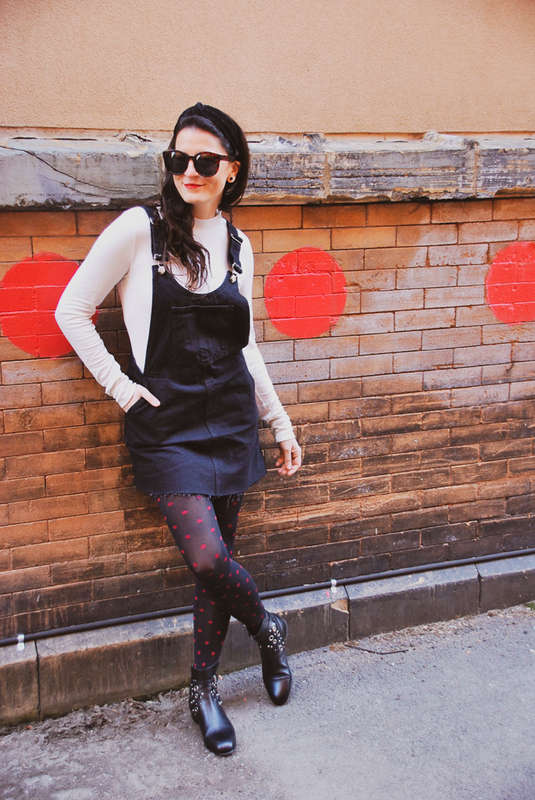 When I wore it, it brought back memories of wearing overalls and hairbands as a child and it instantly brought a smile to my face. Do you ever feel that when you wear something? I know most people just pick out a top and bottoms and if it matches they are fine with it, but I like putting in extra effort and making my looks represent something. Not everything has a strong memory attached, but I’ll remember the hunt and the feeling of satisfaction when I find something that I wanted and at the right price! I truly believe that if you are wearing something you love then your mood is instantly better and hopefully this will make you want to do good things; especially on a Monday! I’m all about feeling good! On that note, I hope you all have a lovely week and do good things this week! 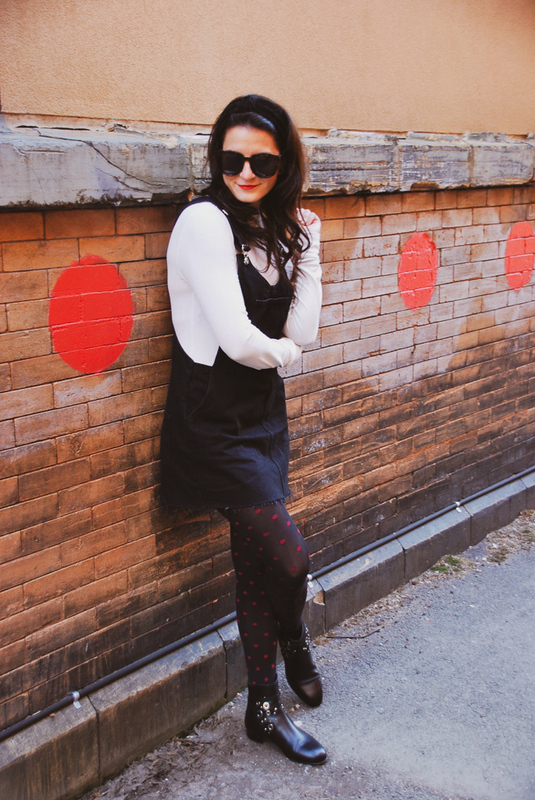 Love the red polka dots! Such a cute outfit!